The Boston Globe reported last year that Boston has more cycling deaths per 10,000 commuters than Washington D.C., Portland, Seattle, Denver and Minneapolis – all cities of similar sizes where, like here, bike travel is increasingly popular. These deadly crashes only make up a fraction of those reported every year. 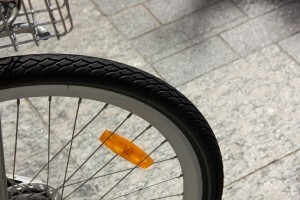 On average, according to the Boston Emergency Medical Services, there are about 520 bicycle accidents annually. That number has increased steadily since 2007, with officials attributing the rise at least in part to the fact the total bikes on Boston roads has spiked. Just in terms of commuting, the percentage of Bostonians who ride a bike to work inched upward to 1.8 percent in 2013, compared to 1.3 percent in 2009. Of those who started cycling between 2007 and 2009, 44 percent responded to a city survey saying they jumped on the biking bandwagon because it was the “best commute option for work.” About 20 percent of the total 38,000 bicycle trips taken daily in Boston are workday commuters. In the summertime, it’s estimated nearly 765,000 people in the Commonwealth ride bikes – and that figure doesn’t even include children. Some of the danger spots identified include Somerville, Lowell, Lynn, Newton, Brockton and Quincy. One of the most dangerous intersections cited: Massachusetts Avenue and Beacon Street. It’s a gauntlet of heavy traffic and noise levels and, especially at rush hour, aggressive drivers racing to beat one another to the light. The Boston Globe has written about it several times, including in the wake of the most recent fatal bike crashes. Most recently in August of last year, a 38-year-old medical researcher on her bike was killed there after being struck by a large truck. As far as some of the top bike accident factors cited by local emergency workers, the problem is too often drivers aren’t watching out for cyclists. This is true when the vehicles are actually in motion (18 percent of all reported injurious bike accidents), as well as when opening their doors while the car is in park (22 percent). Slowly, the city is making strides toward safer cycling. Part of this has involved identifying problem areas, roadways and intersections and working to install buffered bike lanes, reduce speed limits and other features that promote a safer riding experience. The city has also launched a Boston Bikes initiative with the aim of exponential expansion of the city’s existing 60 miles of bike lanes, as well as adding to the bike racks and passing out donated bikes to youth. Still, the risks remain very real. For those who have suffered as a result of another’s negligence, we are here to help.